Bloemfontein – South Africans have been buying and eating tons of old, repackaged frozen chickens for years.After a frozen chicken has passed its expiry date it is washed, injected, rebranded and sold again in leading supermarkets.Reprocessed frozen chickens produced by Supreme Poultry, the third-biggest supplier of the birds in South Africa, are also given new expiry dates.Country Bird Holdings, Supreme’s holding company, last week said the practice was legal. Supreme Poultry supplies Pick n Pay, Shoprite/Checkers and other outlets with frozen chickens.Thami Bolani, chairperson of the National Consumer Forum (NCF), slammed the practice yesterday, calling it unacceptable and misleading.Bolani said the NCF would urgently address the matter because expiry dates within the current system “mean nothing”.Instructed by managementThree sources with first-hand knowledge of Supreme Poultry’s operations at its Botshabelo plant told Rapport they had been instructed by management to repackage old chicken.Johan Matthee, a former production manager at the plant, said in the almost two years he worked there, “hundreds of tons” of unsold chickens were transported back to Supreme and reprocessed. Matthee is involved in a labour dispute with the company. He said an expired chicken thawed for 24 hours at room temperature after it had been transported back to Supreme. Some of the chickens were treated with chlorine to reduce bacterial load. He said chickens were never scientifically tested to determine levels of micro-organisms. They were then injected with brine, repackaged and sold with a new expiry date.Two other former Supreme employees confirmed Matthee’s version and said the practice had been “continuous” since 2004. Within the law Tish Stewart, spokesperson for Country Bird, which owns Supreme Poultry, said everything the company did complied with “the highest level of production practices” and that the company had won awards for the hygienic condition of its plants.“Reworking of chickens returned by clients is permitted by law within certain guidelines and the product may be used for specified purposes after reworking, including human consumption, animal consumption or rendering.“Reworking happens in Supreme Poultry and throughout the industry continuously,” she said. This is disputed by Wouter de Wet, production director of Rainbow Chickens. Rainbow would never reprocess chickens because they did not know how the chickens had been handled after leaving the company’s depot, he said.Stewart further confirmed that some of the expired poultry was treated with chlorine.“It is accepted as being best practice in the normal course of processing and in reworking, as chicken is sold with the skin on and the law makes provision for this,” she said. It is important to note that most products are distributed on the same day of production and the perception that products are reworked for further storage is not true, particularly in view of the fact that Supreme produces more than 2 000 tons of products a week.”She did not reply to specific questions about the issuing of “new” expiry dates for products that had expired. 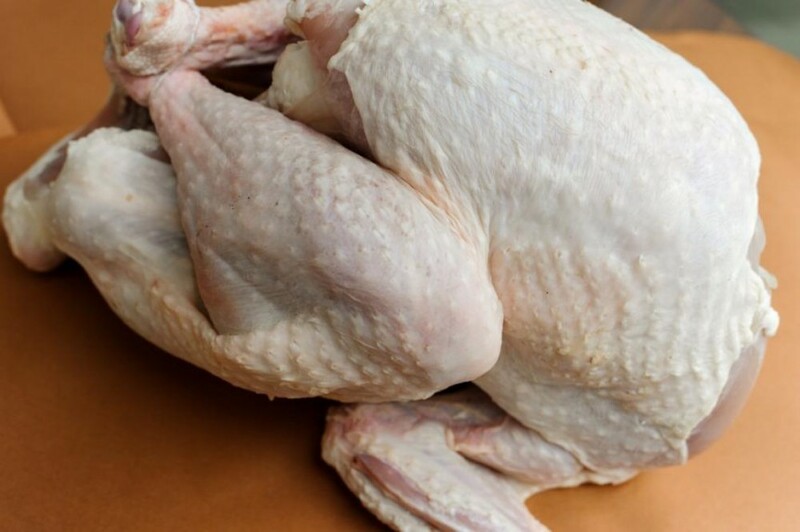 A spokesperson for Shoprite/Checkers confirmed that they would be investigating Supreme’s chicken, but said they had strict quality control measures to ensure the safety of products. Melinda White of Pick n Pay’s legal department confirmed that Supreme produced almost a third of the store’s “No Name” frozen chickens. She said Supreme’s return policy stipulated that all chickens sent back would go to the rendering plant, where meat is processed into bone meal. She said Supreme was a member of regulatory bodies that did not allow the renewal of expiry dates.